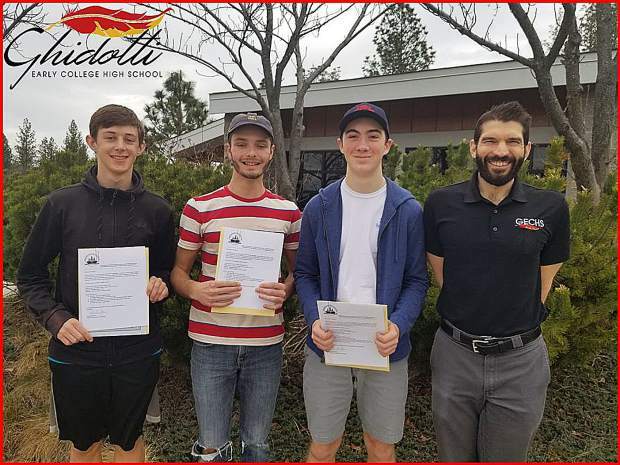 Eight high school juniors from Nevada County were nominated to attend the California Boys State Conference at Sacramento State University from June 22-26. The program is meant to educate and spur involvement in local, county and state government. The students hail from four different high schools, and were nominated by the Nevada Joint Union High School District and the American Legion Frank Gallino Post 130. Students were selected for their high moral character, strong leadership abilities and above-average scholastic achievement. They also demonstrated an interest in government and current events. The delegates are Michael Keene, Cole Retzler and Mitchell Pelline of Ghidotti; Sam Walker and Jacob Knox of Bear River; Triston Koch of Nevada Union; and Eli DeYoung and Blake Hammond of Forest Lake Christian. Alternates include Coal Barker and Samuel Johnson of Nevada Union and Wyatt Ronk of Bear River. If selected at the conference, students will go onto Boys Nation in Washington D.C.
“Owning a piece of the gig economy became a reality for millions on Friday when Lyft began trading on the public markets, signaling the start of a stream of stock offerings expected from high-profile technology companies this year,” as the New York Times is reporting. “Lyft’s shares rose 8.7 percent in its first day of trading after opening at $87.24, far above the public offering price of $72. By the end of the day, the ride-hailing firm’s market value stood at $26.4 billion, making it one of the most valuable American companies to go public in the last decade. At that level, it was more than 23 times the valuation of the parent company of Hertz, the rental car provider, and bigger than the parent of United Airlines. “Lyft’s public market debut formalized the rise of the sharing economy, even though persistent questions remain about the effect of gig-type work on people’s quality of life and their wages. When ride-hailing companies like Lyft and Uber began growing this decade, they hawked their kind of work — where drivers are freelancers who drive only when they want to — as providing flexibility. But with drivers ineligible to receive employee benefits like health care, the businesses have since prompted lawsuits and labor protests. It’s a good example of our statewide efforts to foster STEM education and careers in California, home to Silicon Valley and San Diego’s tech and life sciences cluster, among others, as well as top-notch universities. COSMOS is an intensive four-week summer residential program for “high achievers” who have demonstrated an aptitude for careers in science, technology, engineering and mathematics (STEM) subjects. It is a popular and longrunning program. Our son will join the cluster “Tissue Engineering and Regenerative Medicine” at the Jacobs School of Engineering at UC San Diego — a field that interests him. Other clusters include “Quantum Physics and Applications to Nanotechnology” (UC Davis); “Sustainable Civil Engineering Infrastructure” (UC Irvine) and “Mammals and Oceanography” or “Number Theory” (UC Santa Cruz). 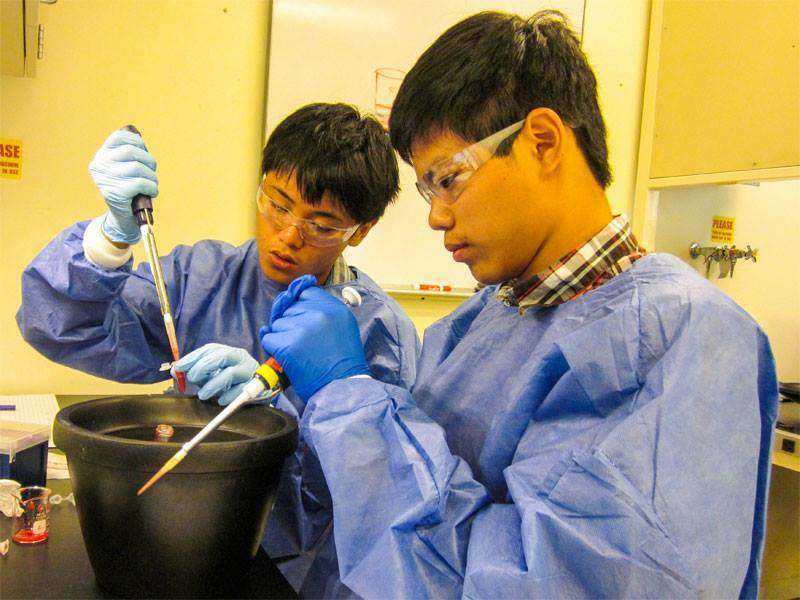 The students have the opportunity to work with renowned faculty, researchers and scientists in state-of-the-art facilities, while exploring advanced STEM topics well beyond the courses offered in California high schools. 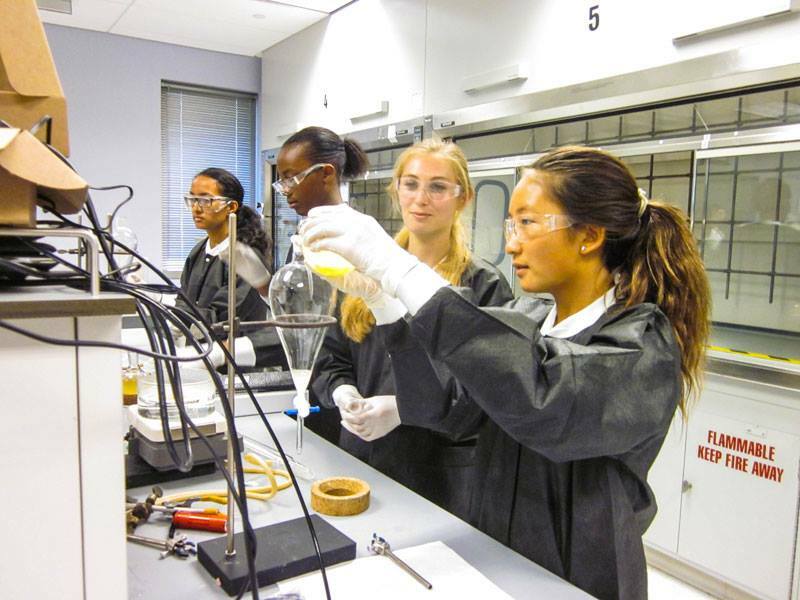 The California Legislature established the program in 1998 (Assembly Bill 2536), with the goal of “engaging talented and motivated high-school students in an intensive program of study, experimentation, and activities to further their interests and skills in science, technology, engineering, and mathematics.” The curricula is both hands-on and lab intensive. High-school students apply to one of the four University of California’s COSMOS campuses — UC Davis, UC Irvine, UC San Diego and UC Santa Cruz. The curriculum of each program builds on the unique teaching and research expertise of its faculty and host campus. Each campus can only accommodate about 160-200 participants, so selection is competitive. The average unweighted GPA for 2018 applicants was 3.9. The following factors are taken into consideration: grades in math and science; math/science teacher recommendations; participation in math/science activities; short-answer quetion responses and a personal statement. Why are highly educated Americans getting more liberal? “It’s a well-worn (if not-entirely-agreed-upon) idea that college makes people more liberal,” according to a report on NPR. “But a new report adds a twist to this: the most educated Americans have grown increasingly liberal over the last couple of decades. “A report from the Pew Research Center finds a wide partisan gap between highly educated and non-highly-educated Americans. Not only that, but the share of college grads and post-graduates who are ‘consistently liberal’ (based on their answers to a series of policy questions) has grown sharply in the last 20 years. “‘There’s some pretty good evidence that going to college leads people to have more liberal attitudes on social issues, in particular on issues of tolerance, of difference and issues of gender equity,’ said Neil Gross, sociology professor at Colby College, who has studied liberalism at colleges. “But then, Gross has also written about evidence that college really doesn’t move people’s broader political beliefs (about, for example, the size of government) that much. “The whole nation is becoming more ideologically polarized, Pew has found. And lots of reasons have been proposed for why that polarization may have happened: distrust in government, the racial and religious politics of the 1960s and 70s, even income inequality. So it would make sense that these postgrads and college grads (along with lots of other people) moved farther away from the center. “Another possibility, Gross says, might be the growing numbers of women getting college and advanced degrees. Women also in general tend to vote for Democrats more than men. So as the population of highly educated people grew more female, that may have swung it left. “At work here is the Big Sort: the idea (popularized in the 2008 book by Bill Bishop) that Americans are increasingly living alongside like-minded people — essentially, that the walls of our respective ideological bubbles are getting thicker. Gross proposes that this may be happening especially among the post-grad set. Author jeffpellinePosted on March 28, 2019 March 28, 2019 Leave a comment on Why are highly educated Americans getting more liberal? 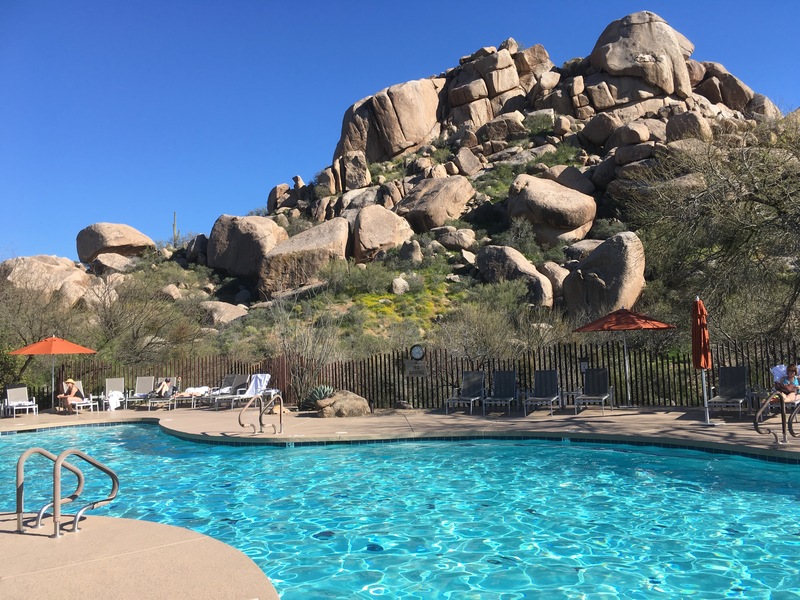 So long, Carefree, AZ. Headed home this afternoon on AA flight 839, seat 2C. A delightful Spring Break! Back to work until the next “excellent adventure” (AKA “The Forbidden City,” China, with Shannon and Mitchell). Turning 60 isn’t that bad after all. Ha! “It became pretty clear on Friday that Mueller would not be charging anyone on the Trump campaign with conspiring with Russia during the 2016 election, given he opted for no more indictments. But that left completely unanswered the question of whether President Donald Trump had committed obstruction of justice. “After making a ‘thorough factual investigation’ into these matters, the Special Counsel considered whether to evaluate the conduct under Department standards governing prosecution and declination decisions but ultimately determined not to make a traditional prosecutorial judgment. “The report further explains that a primary consideration for the Special Counsel’s investigation was whether any Americans including individuals associated with the Trump campaign – joined the Russian conspiracies to influence the election, which would be a federal crime. “In making this (obstruction) determination, we noted that the Special Counsel recognized that ‘the evidence does not establish that the President was involved in an underlying crime related to Russian election interference,’ and that, while not determinative, the absence of such evidence bears upon the President’s intent with respect to obstruction. “Generally speaking, to obtain and sustain an obstruction conviction, the government would need to prove beyond a reasonable doubt that a person, acting with corrupt intent, engaged in obstructive conduct with a sufficient nexus to a pending or contemplated proceeding. “Ever since his confirmation hearing, in which Barr indicated that he was restricted from releasing Mueller’s entire report, the question has been how much we would find out. Barr’s letter Sunday suggests there is more to come.